The Anti-Hotness -- Great games with little buzz. So I think the hotness is a great feature of this site, and I check it as much as the next guy. I also play fantasy football, and getting that stud all-star (the hotness) is great. But I also love a good sleeper pick in the late rounds though (the anti-hotness). So this geek list is all about game that either never took off, games that got lost, or games just were in the wrong place at the wrong time. These are still great games, that people should play. They just don't know to play them. Add your items, and I will start with one that I think personally is very good, but isn't going to make the hotness anytime soon. So I added two actually...now you add to Anti-hotness, aka Kratzer's Home for Underdog Games. This is a cool game, with a different take on the whole trains genre. It has some of the feel of a bigger train game in a lighter package, and it feels like you are legitimately running a small train line in the early 20th century. This is another good one that got overlooked. Its a remake of Capitol with some new rules and a facelift. Not all facelifts turn out well. But the rules additions and accessibility are great. Its a pretty fun, lighter game that does auctions and area control fairly well. I feel weird nominating a top 100 game here, but I have the impression that Keyflower is highly ranked but somehow not well known. This could be a bias of my game groups. Color-restricted actions make this game interesting to me. You have 3 colors of meeples (red, blue, yellow) and can bid any color on any hex that you want to buy that has not been bid upon. Once it's been bid on, outbids can only be done with the same color meeples. Hexes have powers activated by meeples. They can be reactivated, but again, the reactivation uses meeples only of the same color as the initial worker. You have to be REALLY CAREFUL with your color management. It's like having 3 currencies that aren't interchangeable. Other interesting things: you can activate hexes that aren't yours or aren't even bought yet. Meeples placed on a hex to activate it go to the hex's owner at the end of the turn. Are you sure you want to use that player's hex? He'll get your meeple in that color! Did I mention there's a 4th color (green) than can only be generated by hexes initially? I love this game. I know a few people who have played it, and they pretty much all seem to (at least) like it. Limited production runs meant, like most Key games, that not everyone knows about it. I would like that to change. To balance out my heretical top 100 pick, I'd nominate Totemo. Players place custom-designed blocks into a restricted playing area to construct Totem Poles, for which they score victory points. Blocks must be placed according to their colour, and the colours of the blocks they may touch in three dimensions - for example, a purple block may be placed on its own OR adjacent to purple, red or blue blocks. The more blocks it touches, the higher your score for placing. Bonus placements (and scoring) are possible if you land exactly on special spaces on the score track (these spaces are randomly determined at the start of the game). 3 dimensional placement is interesting. Using colors as constraints limiting you to placing blocks next to blocks that are the same or adjacent on the color wheel is interesting and looks cool. I seldom play games with stacking mechanics that are actually about thinking ahead and careful placement rather than kinetics. Cool game, quick, can be challenging. 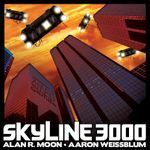 An Essen 2012 release that was barely noticed on BGG. This is a heavier worker placement game with some simultaneous action selection. There is a lot going on. 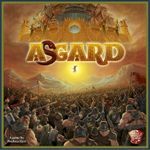 The whole game is a preparation for the Ragnarok, and you need to balance building temples (to support gods) and winning battles (to gain weapons and spells). Both of these also generate victory points, but make you lose your "worker". It has hard decisions and high player interaction. It feels like it should be more popular.